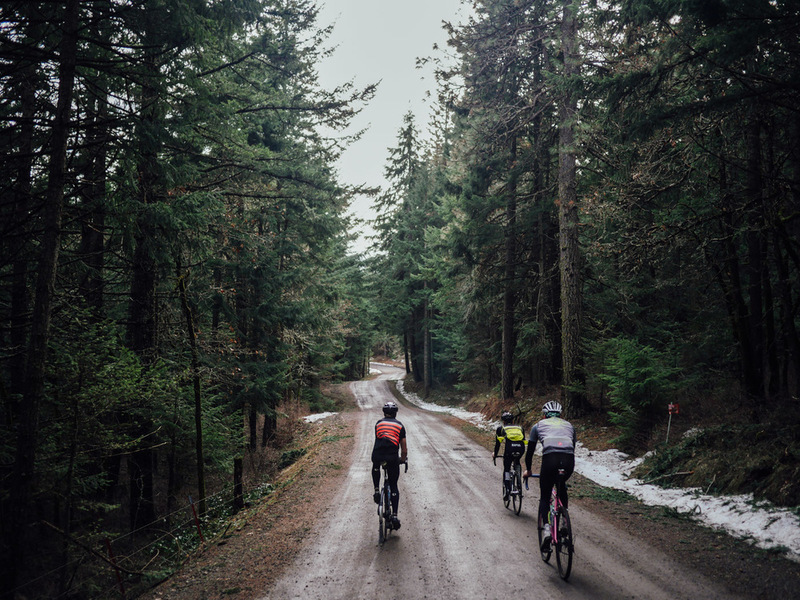 Living and riding in the Pacific Northwest has it's own flavor; base building here also means building up a resistance to cold, wet-weather riding. Just like anything else, as long as you plan for it, you'll be fine. As they say, there's no such thing as bad weather, just bad gear. My mistake has been a never-ending optimistic belief that the weather report isn't as bad as it seems. This has resulted in more under-dressed rides than I can count this year. What can I say? I miss wearing shorts. I miss Vitamin D almost as much. This winter has been the gloomiest, rainiest winter in the last 5 years (some say 10). 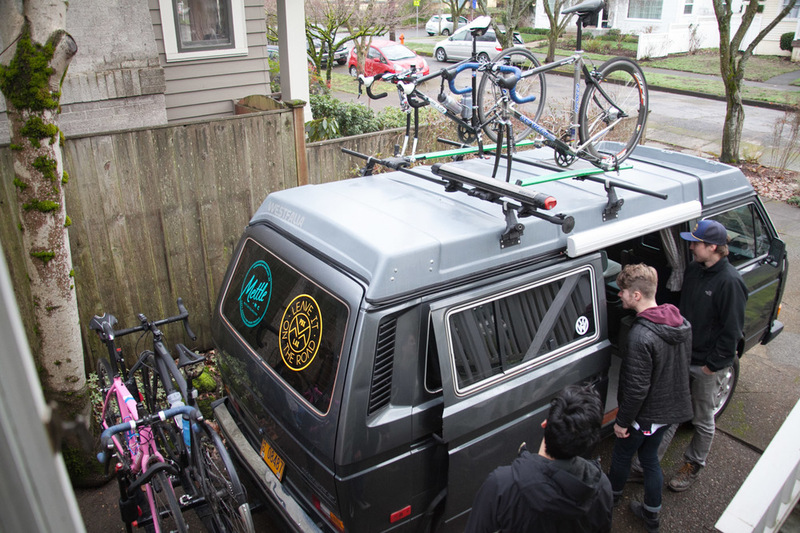 So we packed up the adventure mobile and headed out to Hood River where sunshine and gravel are in abundance. There's also quite a bit of locally sourced stoke. 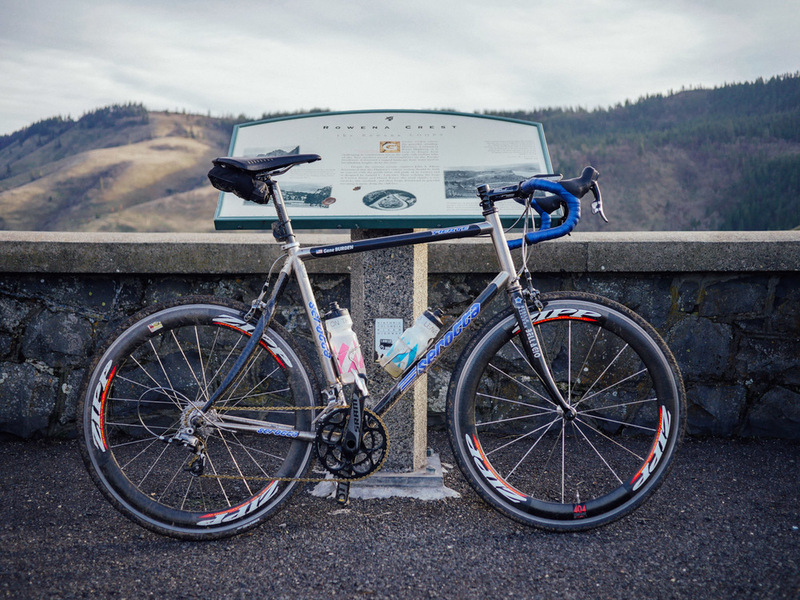 @jakeszy overlooks the climb up to Rowena Crest just west of The Dalles, OR. I've seen images of this view posted all over the interwebs so many times. Rowena Crest seems to be one of the most photographed spots in Oregon; the access is simple and quite honestly, the shot is hard to muck up. But it was the first time I had realized I raced up this hill almost a year ago in OBRA's Gorge Roubaix. My memory of this spot was almost exclusively one of a deep, dark place followed abruptly by a head wind that would instantly sheer the lead group in half after topping the climb. I myself had been ejected a few switchbacks down the hill, blaming one of my teammates who talked me into this early season race (and in the 3/4 field) for every pedal stroke of discomfort. This was the only DNF not caused by a mechanical in my illustrious career as a middle of the pack amateur bike racer but at the time, I had about 60% of the red blood cells everyone else did. This last detail of my memory brought the last 2 years into sharp focus. 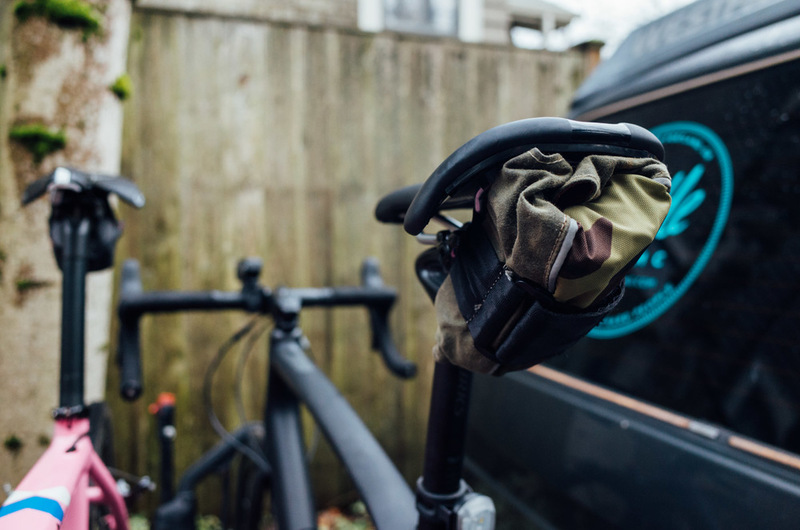 My disease (Ulcerative Colitis) has played a large roll my relationship with cycling, with health, and ultimately in the philosophy of this brand. It's a part of my every day life and at some point I hope to bring awareness to U.C. and other diseases that athletes endure while trying to compete. 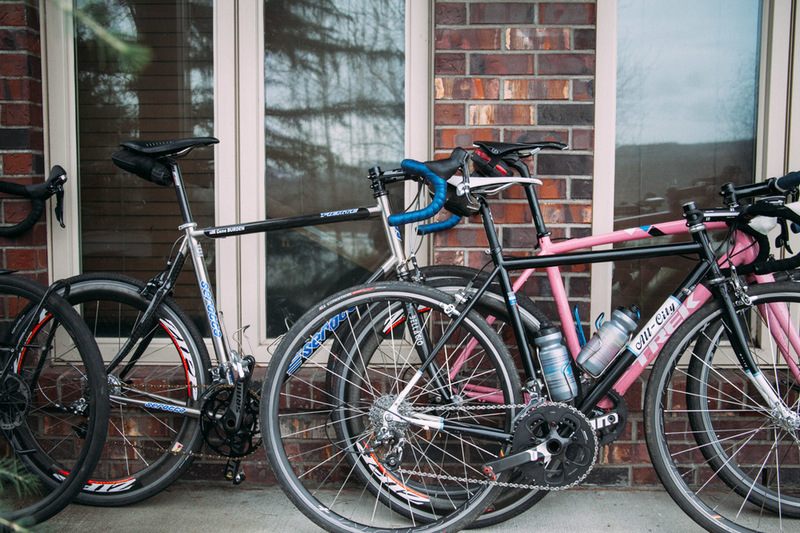 This is just the start of Mettle Cycling. In seasons ahead, we'll begin building something larger than accessories: a resource for endurance athletes with chronic illness. There's many moving parts and a long timeline, but I hope you'll keep an eye out for us on the road (literally). There's a great announcement coming in the next 2 months that we're especially excited about. But for now, enjoying the moment seems to be the best strategy... just out here trying to stay upright. This gallery includes shots from @jakeszy as well! Lastly, you'll see a prototype camera strap for on-the-bike shooting from our awesome partner Tyson Robichaud. These may make an appearance in the store soon! "Imagine what this will be like in 2 months..."
That feeling. It's in this image. Posted on February 9, 2016 by Randall Fransen.